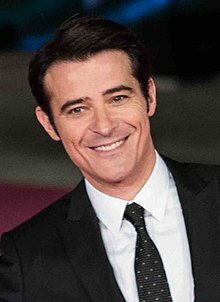 Goran Višnjić (born 9 September 1972) is a Croatian actor who appeared in many American and British TV shows and is widely regarded as the most famous actor to come out of Croatia. When somebody is attacking your hometown, and you're just sitting in the basement, you feel really useless. I felt I had to do it to defend my country. That's normal. Every time I perform, I work really hard to give part of myself to the audience. Then I do an interview and I read some story that just isn't true, or someone draws a crazy conclusion about my life, and it's such a betrayal. It hasn't happened here, but in Croatia, I've had to stop reading about myself. I don't think actors mean to be secretive - they just don't want strangers looking through their kitchen window. Goran Visnjic on why he doesn't give many interviews. If a great part comes up and the guy's meant to have an Eastern European accent, great; but if it's a bad part I won't take it. I'm working with a dialect coach, but it's not helping. I want everyone to understand what I am talking about, like 'peritoneal lavage', you know, these medical expressions... I don't want to lose my accent, I just want it to become smaller. But people in Croatia are more relaxed, they work less, they have less money, but they enjoy life more because they are not so busy. The first time I came here it was 10 days, then 15 days, then three months. Now this time I have to stay to April. I'm slowly getting stuck here and I miss Europe. ...Zegna's jacket is perfect and Gucci's pants are perfect. So we got two suits, and I hope I am going to take one home. I would really like to do theatre in my native language because that would be like so relaxed after ER ... English ... those medical words! ER is a pretty big deal in Croatia. When my agent called and told me about this show, I said, 'Are we talking about the same ER?' And I thought about it for half a second and then said, 'Yes, of course!' I was watching them in Croatia when I was still at the Academy of Dramatic Arts, and now I'm working with them. This cute woman walked into my favorite bar in Gavella, Croatia, about 5 years ago. When I saw her I said "Uh-oh, that's it". But I was shy, so I didn't ask her out until a couple of days later, when I finally found someone who knew her phone number. It's mostly everyone from the show, so this feels just like being in the studio - except that we can drink here. I was happy to do it when I saw the chance of helping out the local theater scene ... I am delighted to be able to help the theaters where I grew up and learned my profession. I have never forgotten my past. Several years ago I saw a video of a seal hunt in Canada and was shocked. I just couldn't believe that sort of thing was still happening in the 21st century. But it was. The way seals are killed is so inhumane. They're clubbed then pulled across the ice with big hooks. I mean, I have a pretty strong stomach from being on ER all these years, but it still disgusts me. Once you see a video like that it's really hard to sit on the sidelines and say "Who cares." I'm always trying to be a good ambassador for my country. After singing stop the war in Croatia for a couple of months we realized nobody was going to give us a hand and we had to do this on our own. This page was last edited on 18 October 2016, at 08:44.